La Carta de RAST is a modern restaurant offering Mediterranean cuisine. The average price of a 3-course meal at the La Carta de RAST restaurant is 40 euros. Note that although GoMadrid.com strives to maintain all information about La Carta de RAST up to date, the prices mentioned are only an indication and may not reflect the exact value of your meal. La Carta de Rast in Madrid offers diners a tranquil and sophisticated setting in which to enjoy its excellent seasonal cuisine. Its dishes use the finest seasonal and fresh ingredients, combining the best Spanish culinary traditions with careful preparation. The superb raw materials are a delight for the senses, offering purity of flavour that inspires the essence of the Mediterranean. The restaurant's specialities include its rice and fish dishes accompanied by a select list of Spanish wines, carefully chosen by an expert sommelier including plenty of inexpensive bottles. 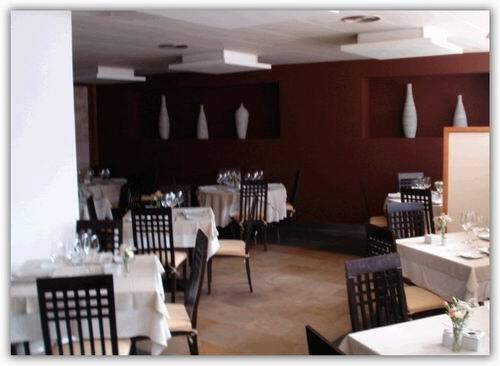 The address of the La Carta de RAST restaurant is: Cronos, 8, 28037 Madrid. The nearest Metro station is Suances. Please see the La Carta de RAST restaurant location map below.